The application process must be done online only. We review all proposals submitted by e-mail. Applications by phone or at our offices will not be considered. Only projects that meet the organization’s current or future needs will be considered. There is no waiting list, the projects are chosen based on the criteria mentioned. Your projects must consider the available infrastructures and the security standards currently in place. If your project is selected, you must agree to comply with customer service criteria. 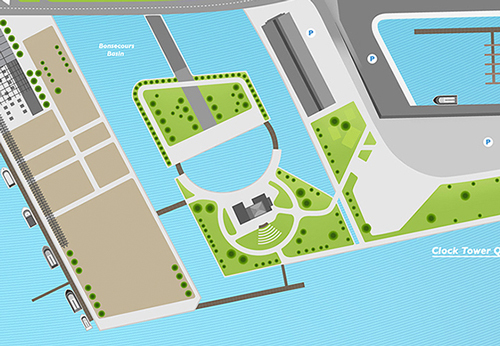 The Old Port of Montreal reserves the right to refuse any and/or all projects.